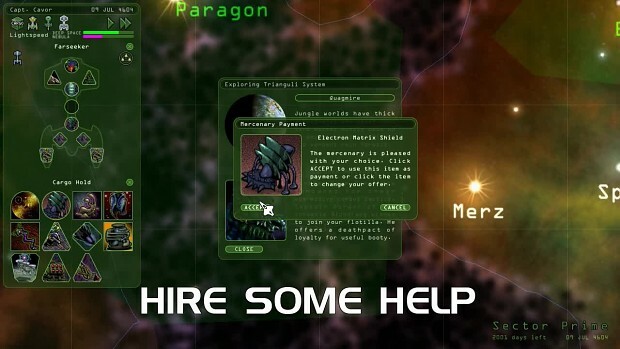 Weird Worlds is a hybrid Rogue-like space adventure game created by Digital Eel. Playable in short sessions (10-30 minutes), the game is randomly generated each time you play it. You can choose from three different missions, and several other options that vary the difficulty and length of the game. There are many more things in the Infinite Space universe than can be experienced in any one session, so you will find something new each time you play.